Apple just announced a lineup of three new MacBook Pro laptops, each of which is decked out with four USB Type-C ports. Apple both confused and stunned the world with the decision to not include an audio jack on the recent iPhone 7. Now they have decided to remove USB ports from the new Macbook Pro. And as is the case with all things Apple these days, you know what that means — you’re going to need more dongles. Apple’s never been shy about shaving off features in its quest for slimmer, faster computing. More specifically, you now need an adapter (or a new cable) to plug your iPhone into the new MacBook Pro. That’s a whole new story. A future where phones, laptops, and other products all use USB Type-C could be a great one. Certain USB-C ports can handle data and power at the same time, and a reversible universal connector that works on both ends of the cable and across products that run iOS, macOS, Android, and Windows sounds like a good future! But that future is still out on the horizon, and to get there we have to paddle through a sea of dongles. HDMI port is also ditched from the new Macbook Pro. So better pick up a USB-C to HDMI connector while you’re at it, if you plan on connecting your notebook to an external display. 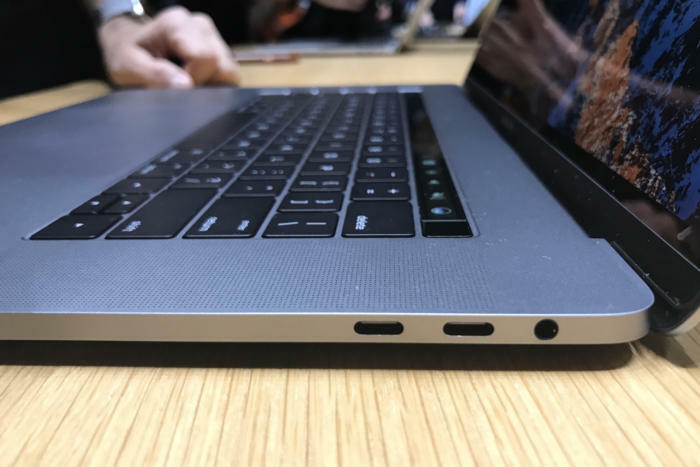 Oh almost forgot to mention, at least the new MacBook Pro has a headphone jack. Whoa!